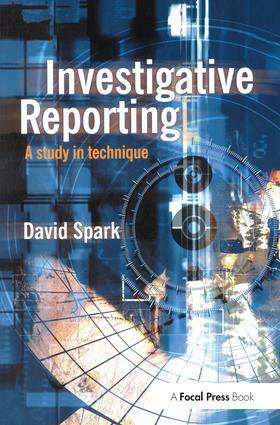 This important book defines what investigative reporting is and what qualities it requires. Drawing on the experience of many well-known journalists in the field, the author identifies the skills, common factors and special circumstances involved in a wide variety of investigations. It examines how opportunities for investigations can be found and pursued, how informants can be persuaded to yield needed information and how and where this information can be checked. It also stresses the dangers and legal constraints that have to be contended with and shows real life examples such as the Cook Report formula, the Jonathan Aitken investigation and the Birmingham Six story. Investigative Reporting looks at such fields for inquiry as company frauds (including those of Robert Maxwell), consumer complaints, crime, police malpractice, the intelligence services, local government and corruption in Parliament and in overseas and international bodies. The author believes that the conclusions that emerge from this far-reaching survey are of value not only in investigative journalism, but to practitioners in all branches of reporting.